Lances Right Surf Resort is located on Sipora island in the Mentawai islands of west Sumatra, Indonesia. The villas are literally 120 meters away from the water edge. As you wake up, the first experience is the smell of the ocean breeze and the beauty of tropical scenery that you are surrounded by. With white sandy beaches, amazing blue waters & encircled by about 10 of the world’s finest waves in the vicinity. The world famous wave “Lances right” is directly located in front of the resort. All kinds of surfers are welcome here, whether you are a beginner, intermediate or an excellent surfer, we have all kinds of breaks for everyone; beach break, Lances left, Bintangs, Monkeys & more. Our all-inclusive surf resort offers 4 villas, in each villa we provide 2 rooms with 1 shared bathroom – each room is designed for maximum 2 people per room. All villas are fitted with AC, TV’s, hot showers & minibar fridge. The resort provides all use of facilities & activities equipment – SUP, kayaks, volleyball, pool table, table tennis. Yoga, space, massage in your room, new chill out space on our tree house. On extra cost we also offer a speedboat transfer to other destinations such as Macaronis, Telescopes, etc – either for surfing, snorkelling or just a simple picnic. Our accommodation is a combination of natural & modern design that provides an outside sitting area, own private dip pools with Air-conditioning, TV, hot water, mini fridge & in-room safes. Each one of the villas are equipped with one bathroom to share. All our room types are adequate for all kinds of people, whether you are traveling alone, as a couple, as a family or a big group of friends. Are divided into three rooms, front room provides a lounge/TV area, with a big room up to two single beds & a room in the back – ideal for big group of friends or families. Are designed perfectly for families with a big front room that can take up to two single beds & a private room in the back. Also provides a front room that has a stunning view to towards the ocean & additionally an extra room in the back – suitable for couples. The restaurant concept is a combination of French, Thai & Indonesian cuisine with stunning views of the most famous waves. Breakfast will be selected from the menu, lunch & dinner will be served buffet style. We also have a refreshing list of freshly squeezed juices and smoothies available. All the meals are included in the price. Sepora Surf Resort Mentawai is located directly in front of the ocean, to paddle to the wave Lances Right it only takes 2 minutes to get there, no need to wait for others to get on a speedboat, you can go surf on your own time whenever you wish. We provide surf guiding for intermediate or advanced surfers. Our surf guide speaks 5 languages; English, French, Spanish, Indonesian and Thai. For people who are not confident in surfing we have a beach break around the corner, where you can practice. We can provide surfboards and longboards – this needs to be notified in advanced. For all travellers we advice them to travel with insurance. A normal day at the resort would be by waking up early morning, doing a little surf check if the waves are good you would immediately jump in to your shorts or bikinis and go surf. Or for those who would like to start their day with a simple breakfast, then head towards our yoga space for a little mediation/yoga session. For those who are seeking for adventures can have a free use of our equipments whether its kayaking, paddle boarding, fishing or snorkelling. A ride in the jungle or to other beaches you can rent our scooter and have an adventurous moment with our local tour guide if you would like someone to lead the way or by yourself. The area is very safe, if you wish to travel around alone, the locals are all super friendly and helpful, if you do get lost. For those who don’t surf can simply enjoy their time in the calm lagoon – suitable for families with small kids or people that like to have a relaxed day by the water. 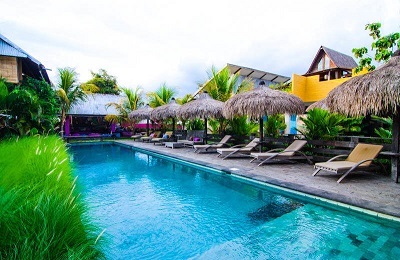 Lances Right Surf Resort Mentawais is located on Katiet Beach in south Sipora, one of the big four islands of the Mentawais. 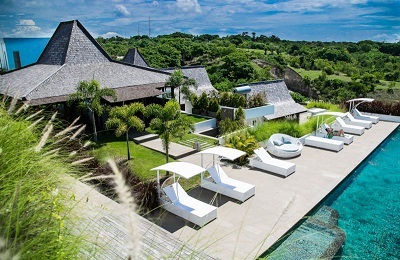 From our resort you have views of one of the best surf breaks in Indonesia, arguably the world – “Lances right”. Other famous waves that are well known are Lances left, Monkeys, Bintangs & beach break. The water temperature is warm all year long. Despite their close proximity to mainland Western Sumatra, the Mentawai Islands archipelago – consisting of 70 islands and islets – was isolated in the Indian Ocean before the 19th century, with strong currents, winds and sharp coral kept outsiders away. But today, with easy boat access from Padang, surf travellers in search of the best waves in the world make the pilgrimage. Although it is widely accepted that The Mentawais broke away from Sumatra around 500,000 BC, the origin and date of people populating on the archipelago are uncertain. Today, the largest of the Mentawai Islands, Siberut, is home to the majority of the populace. Animism followed by Islam and Christianity are the predominant religions. Originally, The Mentawai people worshipped Arat Sabulungan (the religion of leaves), a philosophical journey toward heaven by embracing all in the environment, past and present. From monkeys to human, stones to storms – spirits dwell everywhere. They have a very unique tradition called Titi, which involves tattooing their entire body. This identifies their role and social status. The tattoos are made from cane and coconut charcoal dye, which is designed by using a nail, needle and two pieces of wood fashioned into a hammer-like stick. It’s known to be a very painful method of tattooing. The Mentawais are basically sitting on the equator and therefore stay hot and humid all year round with very little change in temperature. Temperatures range between 72°- 90° F (22°- 32°C). The water temperature is a steady 80°F(27°C). The Mentawais have a dry season which runs from February to October and a wet season from November to January. This being the tropics rain does occur during the dry season as occasional squalls and storm showers make their way thru this region. The main swell season normally begins in late April and continues through September, with the wave height jumping up a notch from June to September. During this time the waves will stay in the overhead to double overhead range with some occasionally bigger days. That being said, the Mentawais could easily be considered a year round destination, as even during what are considered the slower season months of November thru March/February there is still plenty of surf in the head high range thanks to a very active Indian Ocean that churns out low pressure systems on a regular basis. Valid from Aug 01 2016 – As of August 01 Year 2016, all foreign surfers visiting Mentawai are legally obliged to pay a surfer tourism tax of IDR 1.000.000 (approx AUD 105) prior to departure to Mentawai, valid for a 15 day stay (extendable). NOTE: Garuda Airlines & Lion Air DO NOT ACCEPT non-Indonesian credit cards on their websites. You would need to stay one night in Padang, due to the early departures of the ferry the next morning. The ferry only departs once a day & 4 times a week. Then once you have reached the ferry terminals destinations (Tuapejat or Sioban), our resort representative will come pick you up with our speedboat service and deliver you to our resort. Transfers from the airport to your hotel in Padang, then to the boat harbour the next morning are included in the price. Boat Transfers: cost an extra $350 USD per person/roundtrip – it includes the Mentawai fast and the speedboat service to our resort. Total travel time: 4-5 hours, depending on which days. We recommend taking the ferry on Sunday, since the travel time is an hour shorter. Group Transfers: for groups we recommend taking a speedboat service that travels straight from Padang to our resort in approximately 3.30 hours. This costs $4,000 USD roundtrip. This can be arranged by maximum of 12 people. The above mentioned times all depends on the weather conditions. Special deal September/October 2017 –> $160 USD per person/night. Travel insurance – all guests must have travel insurance according to resort policy. "I stayed at the resort last November for 10 days and had the most exciting and relaxing trip of my life. I traveled to Mentawai a couple of times but always on Boat trips, which is great already. But staying on land is a totally different thing. Indeed, you can really take the time to relax, discover the surroundings, the jungle, the friendly local people etc.. Access is quite quick from Padang and everything is well organized by the team there I really enjoyed the resort, the rooms were very clean, with A/C, the food was great, and the place is so peaceful, not to mention the main break, just in front of your room... The wave is just perfect. Teiki and Sina welcomed me and they take very good care of their guests. I definitely recommend this place." "We had the most amazing time at the resort. The accommodation was perfect, we had a wonderful room with a very comfortable bed and very nice decor. 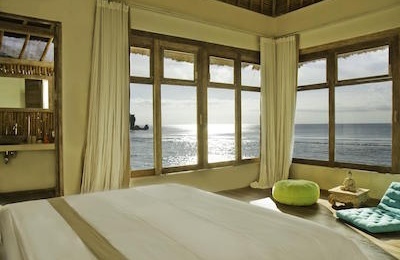 Our window looked straight out onto the surf break and we woke up to it every morning. The food was perfect, full breakfast's, yummy lunches and extravagant dinners. Teiki and Sina were perfect hosts, we never wanted for anything for the whole time we were there. All the staff were amazing, always there to help with anything we needed. It was an incredible week that far outweighed our expectations and we cannot wait to go back. Thank you!" "The place is amazing , the quality of the rooms and the service is at the highest level in Mentawai islands ... Is plenty of world class waves around the resort .. The manager Teiki knows every corner of the islands he use to sail around the area for many years , he knows every secret plus he is also an incredible surfer he will help you a lot to improve your surfing ... absolutely a dream destination !!" Extremely Pleased with the service and the perfect location. "This was a bucket list trip and I felt so at home with the care from you & Nitri. The excellent food and frindliness was a 10. The resort was super safe, ultra comfortable, loved having my own pool, and the cabana/reading area was super peaceful. Can't wait until next time and I highly recommend this place for the surfers who want an excellent experience."